Elegant resorts and quaint inns: respectable and sanitary lodgings for all species and heights. Replete with useful titbits, Mrs Bradshaw’s Handbook offers a view of the Sto Plains like no other. Beautifully narrated by Penelope Keith with Michael Fenton Stevens. 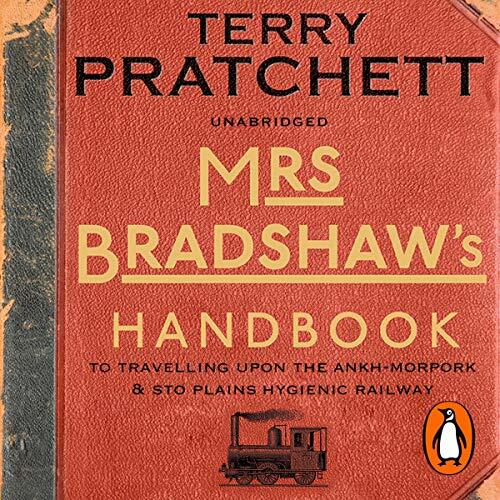 Would you consider the audio edition of Mrs Bradshaw's Handbook to be better than the print version? Ok, you do lose the brilliant illustrations but this is more than made up for by the experience gifted to us the peerless performances of Penelope Keith and Michael Fenton Stevens. 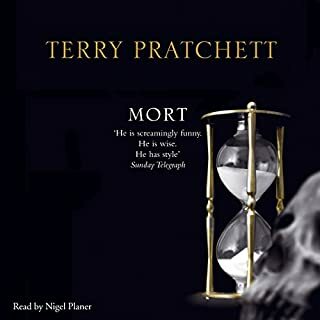 The comedic lines are exquisitely delivered as you would expect of two actors know for this skill but the thing that makes the audio version so compelling is the total commitment given they read it as if it was a genuine travel book are it just amazing. And the sound effect just add to the level of immersion you just don’t that all this from paper. 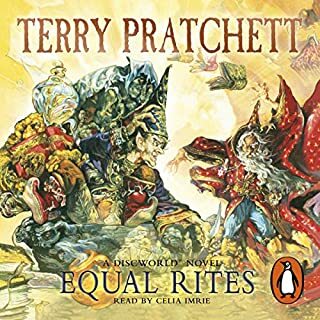 Due to my dyslexia I rely on audiobooks to open worlds that would otherwise be lock away between covers long before audible but since their arrival it like kind in a sweet shop every month. 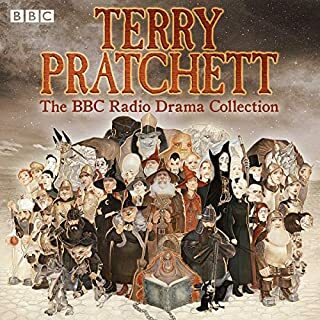 Between my US and UK accounts I must have over 600 books (and as life long fan of Terry Pratchett) I hope you can trust me when I say this 'Handbook' is one of the few audiobooks that have reached a perfection of both consideration and delivery in both production and performance. It has to be Mrs Bradshaw, I have loved Penelope Keith from when I was very, very small (the Good Life and to the Manor Born etc) and anyone who likes her performance here should check out the Agatha Raisin books on the this very site…Penelope Keith reads the unabridged stories and stars as Agatha herself ( THE Agatha in my option, apologies to Ashley Jensen who was great on TV but I think the original is still the best) in the BBC radio dramas. Penelope Keith brings all her considerable talent and experience to the role of Mrs Bradshaw and strikes the balance of giving us a fully rounded character (slightly pompous true but witty and ever so charming, MRS B that is not MS K who I’m sure just has the latter qualities :-) ) without getting in the way of the myriad pictures the book paints of a living breathing Discworld that to my ear has never been so alive as a whole,in audio form, till now. You can’t pick out a scene for like what it depicts this book is all about the journey. 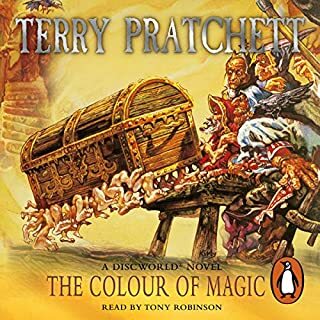 I did like the waypoint for the missionaries of Om at the start of the book the chanting made me laugh out loud the first time I heard it and will, like all of Terry Pratchett’s books, make me smile for rest of my life. 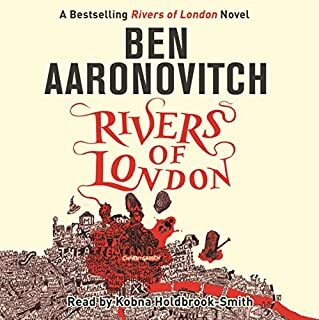 What I especially love about this book is that its teeming with little nods and winks, to the long term disc world fan, simple waving at you from the margins, if you forgive me murdering that imagery and that fact the audiobooks can’t have margins but I hope you get the idea. I won’t go into any here but they are wonderful. And although not the last novel that honour belong to the poignant ‘Shepherd’s Crown’ this book felt to me like a last journey with the man and the mind I loved and grown up with through his work, it felt like he was sitting beside me on the train smiling at the view and at fact he’d just nicked the last biscuit. A Whistle-Stop Farwell did I say? Currently absorbing every last bit of pratchetts work on discworld so this was a nice escape back to that universe. Basically lonely planet on the discworld railway. 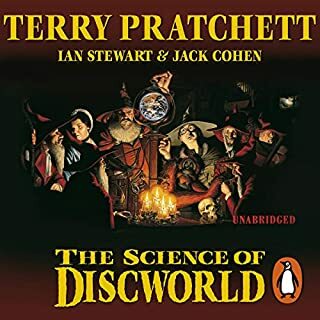 Wouldn't recommend unless u really need a fix of discworld escapism. What made the experience of listening to Mrs Bradshaw's Handbook the most enjoyable? Absolutely perfect narration by Penelope Keith. It really brought the disc and it's places to life. Superb descriptions of local cuisine and recommendations of places to dine. Listened to this as an audio book whilst commuting, absolutely perfect tone and pace for travelling. Terry Pratchett's version of Bradshaw's Handbook of the early age of the railway. Documenting journeys on the Discworld. With the usual wit and inventiveness.